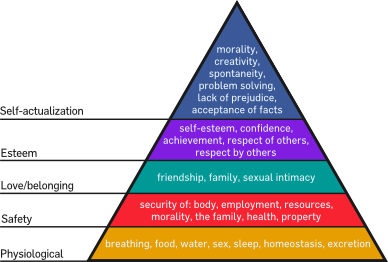 A friend at work had been mentioning Maslow. I realized that there was a triangle of the top triangle. We are at stage one (acceptance of facts). Now, not saying yea or nay to these items, I'm going to list some items that defy the level five "acceptance of facts" criteria over the next few posts. These are the points of crisis of the culture. The laws which involve scheduled payments (obligations incurred) have not been rescinded. Ergo, the debt must be paid. Any law which prohibits this (i.e., the 'Debt Ceiling' law) is unconstitutional, and thus void.